The Craig Group at Keller Williams Realty Chattanooga has added a third member – and a third generation – to its team of Realtors. Drew Craig has joined the team as a buyer’s agent, having recently graduated from Lee University with a degree in accounting. The team now consists of Carol Craig, Carol’s son Jay Craig, and Jay’s son Drew. A Realtor since 2015, Drew is now serving The Craig Group as a buyer’s agent. He earned his real estate license while a freshman at Lee. A native of Chattanooga, Drew graduated from Chattanooga School for the Arts and Sciences, which he attended from kindergarten through 12th grade. Drew was a member of the Chattanooga Boys Choir for 10 years and the Lee University Singers for all four years of his collegiate experience. He’s currently a member of Abba’s House, where he’s involved in the choir, praise team and Life Groups. Drew is engaged to Julia Beth Worley. Drew started in real estate after seeing the success of his family members. “Family is of utmost importance to me, and I’m grateful to be working alongside my father and grandmother,” he says. 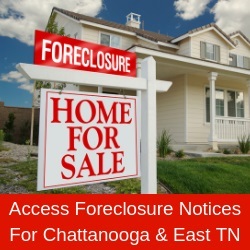 The Craig Group works with buyers and sellers in the Greater Chattanooga and North Georgia areas. “Our analytical marketing, advertising and business planning techniques ensure a successful close of each transaction,” Drew says. “The Craig Group vows to keep the needs of the client their number one priority while never losing sight of honesty, loyalty and accountability. Contact Drew at 423 718-4485 or Drew@DrewCraig.com.